Former Chief Security Officer to the late Head of State, Gen. Sani Abacha, Major Hamza Al-Mustapha said on Monday he would soon reveal how his boss and the acclaimed winner of June 12, 1993 presidential election, Chief Bashorun MKO Abiola, died. Al-Mustapha, who addressed journalists in Lagos , on a number of issues relating to his 15-year travails in detention, said Abiola and Abacha were very good friends before some fifth columnists caused disaffection between them. “Unknown to these notable Nigerians, particularly notable Yoruba personalities, who visited Abiola, their visits were recorded on video. I did the video recording without their knowledge. These people would visit Abiola and come back to tell government a different thing about him. “These same people would still go and tell Abiola a different thing about government. They are on video. The agencies of government have these videos evidence. These same people told MKO Abiola never to accept any compromise or negotiations. They advised him never to come back home without his mandate. All these things are on video. Of all the Yoruba leaders, only Oba Tejuosho told MKO Abiola the truth: to accept the conditional bail and go home. On Abacha loot still being returned to the country from abroad, 18 years after his death, Al-Mustapha said he was shocked the first time he heard of Abacha's loot. He added that most of what was today known in the media as Abacha's loot were mere media campaigns aimed at smearing the late Sani Abacha's image by local and international persons he stepped on their toes while he was Head of State. Also, Al-Mustapha reiterated his call for a public debate, where former President, Chief Olusegun Obasanjo, would come to substantiate claims in his infamous 18-page letter that he (Al-Mustapha) was contracted to head a killer squad of 1,000 snipers for former President Dr. Goodluck Jonathan, ahead of the 2015 general elections. Al-Mustapha debunked insinuations that the ex-President, Jonathan, interfered with court process to facilitate his release from prisons, to enable him (Al-Mustapha) help train the 'killer squad' or procure Jonathan's success in the North during the last election. 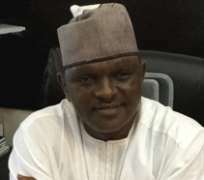 Al-Mustapha said, ab initio, he had no case to answer but for the plots of his persecutors to see him eliminated because he stepped on their toes while he served as the Chief Security Officer to the late Head of State, adding that the appellate court acquitted him when it determined that he had no case to answer on all the charges levelled against him. 'Obasanjo's had his day' He said: “Nobody contracted me to catch 1,000 mosquitoes under the Jonathan administration, let alone human beings. I am Al-Mustapha. I have my background away from the propaganda peddled by the likes of Obasanjo. Obasanjo has had his day. I am doing my investigation and I have discovered so many things as to what made him (Obasanjo) make such allegation. I have it. I will release it very soon and that is why I have challenged him to an open debate. Obasanjo is my senior in the force; he was a former Military Head of State, but when issues of law and rights of man are being discussed, definitely equality comes to the fore.